Tacna to La Serena… about 1700km and a lot of desert. The Atacama Desert – the driest place on earth apparently – goes on, and on, and on. It took me three long days of riding to cross it. 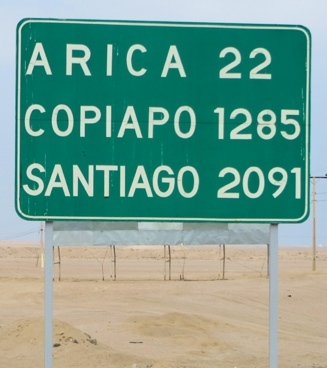 Arica is long behind me; I passed Copiapo yesterday. But Santiago is still over the horizon. They say watching a kettle boil makes it take longer to do so. Driving down Ruta 5, Chile’s principal road which runs the length of the country for about 3500km, you experience the same effect. The route is sign-posted every kilometre counting down the distance to Santiago. And like an irritating itch, once you have noticed the signs, you can’t help yourself from looking out for each one. I became obsessed. It crossed my mind that if I were a historian, I could pass the time thinking of significant events associated with each passing year as I progressively stepped back in time to the birth of Christ. Unfortunately, History was one of my more mediocre subjects at school. After about 450km, I re-joined Ruta 5 inland. Whoever is in charge of road signage in this region must have a sense of humour, for when I returned to the principal route, I found the ‘Santiago countdown’ signs now every 100m! It was only a brief respite from cloak-watching. Fortunately they later ran out of either money or interest, and the signs reverted to being every kilometre. The Atacama is constantly changing. In some parts it is truly spectacular, with deep valleys cutting their way from the Andes to the coast and mountains rising in the distance. On the coast, the desert stretches all the way to the shoreline: there is no way of demarcating the beach from the desert. And in other areas it is flat and utterly featureless. But it is behind me now. From here Ruta 5 becomes a dual carriageway all the way to Santiago. Arid mountains and roadside service stations will become my backdrop. And only 540km to run – a short day by the standards of those I have just completed. Dear friend Paul,………..from Rosie and Rex Thomas, We love your blog, the writing, the pics, the adventure. We are back at home doing ordinary domestic things but already we miss being on the go. When we drove up the north coast of Chile we passed the same spot where the mountains come close to the sea and we took photos just like the one you posted except we were looking north not south. Just for myself, I would love to be your riding companion, especially since I reckon you need an offsider in some of those remote places where the riding is a bit more than simple. Sand and desert riding comes naturally to an Aussie because we have plenty of that stuff to practice in so I know how to not loose the front wheel in deep soft sand. So why the rush to get to Santiago? We think it is to get hold of Paulina. You mentioned her briefly but no more so now we need an update and some photos of the wonderful and exotic Paulina. 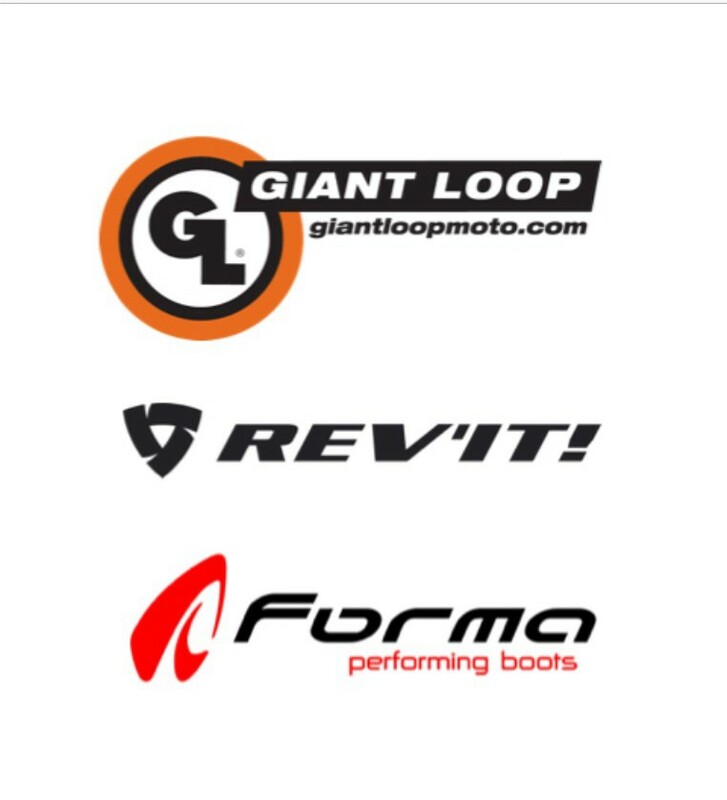 Travel well and be good……best wishes from your Aussie pals.